DR type = spacer fits in between the wheel and the hub. Longer wheel bolts are required. 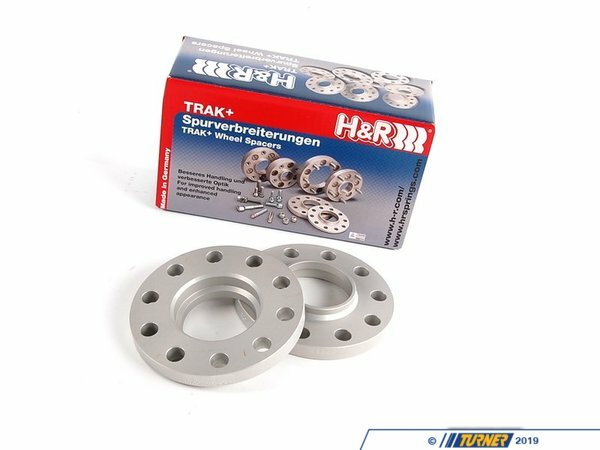 These special 15mm wheel spacers allow an E39 owner to use E36 or E46 wheels on their car. 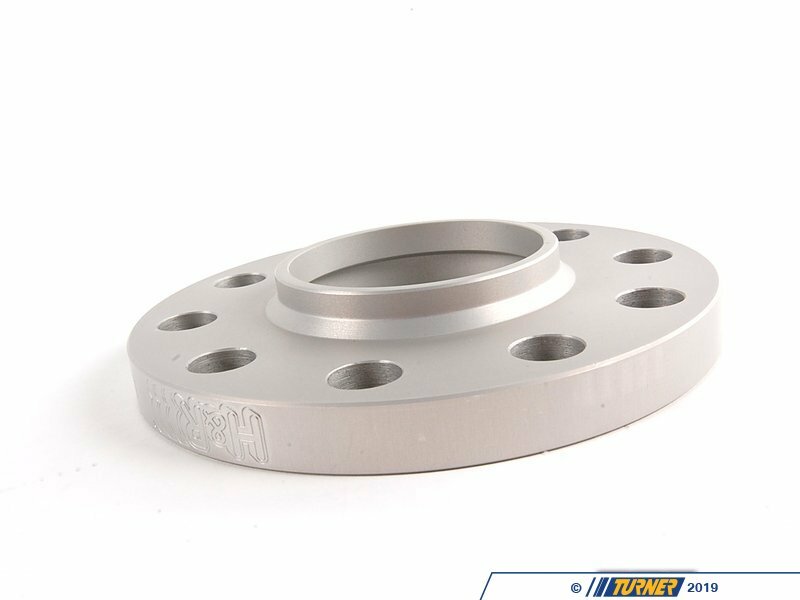 These spacers are the correct 74.0mm center-bore to fit on the hub and 72.5mm center bore on the outside for the wheel to sit on. This spacer will reduce the wheel offset by 15mm. This difference in center bore has left a lot of E39 owners out in the cold when it came to wheel options (especially in the winter). H&R has worked up this easy solution. Note about E36 and E46 wheels � there is a large range in offsets on these wheels. The lowest offset we have seen is 35mm; the highest offset is 49mm. The desired offset for the E39 is 20mm, depending on wheel width. H&R makes these wheel adapters in 15mm and 20mm thicknesses. If your E36/E46 wheel is above 43mm in offset, you will run into the problem of the wheel tucked in too far. When looking at E36/E46 wheels, try to stay in the 35-43mm offset range. 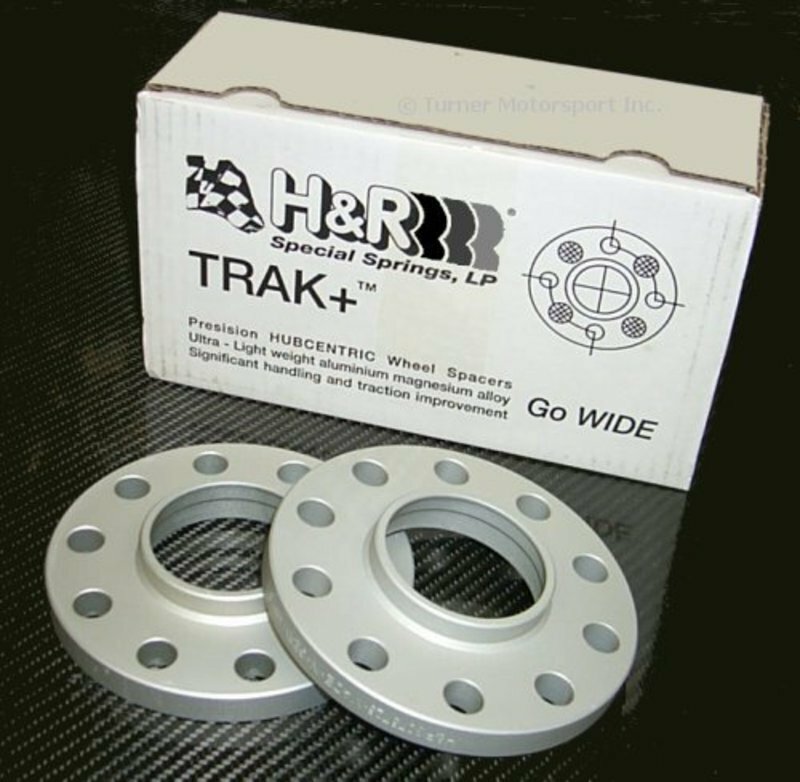 Spacers are sold in pairs (1 axle) without bolts. These special 15mm wheel spacers allow an E39 owner to use E36 or E46 wheels on their car. 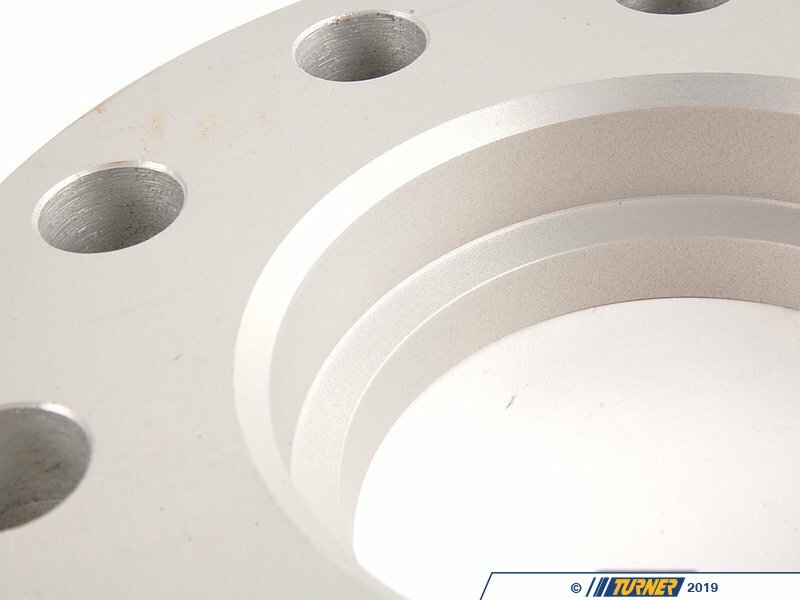 These spacers are the correct 74.0mm center-bore to fit on the hub and 72.5mm center bore on the outside for the wheel to sit on. 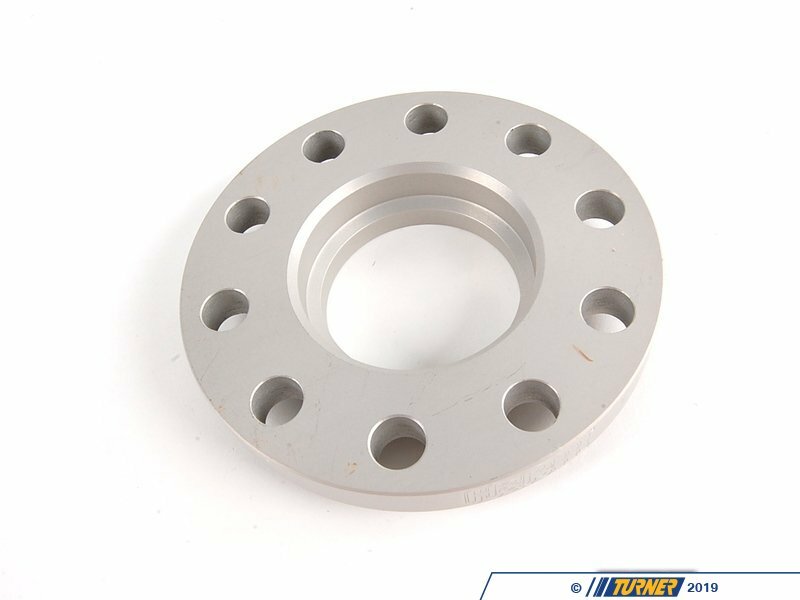 This spacer will reduce the wheel offset by 15mm. This difference in center bore has left a lot of E39 owners out in the cold when it came to wheel options (especially in the winter). 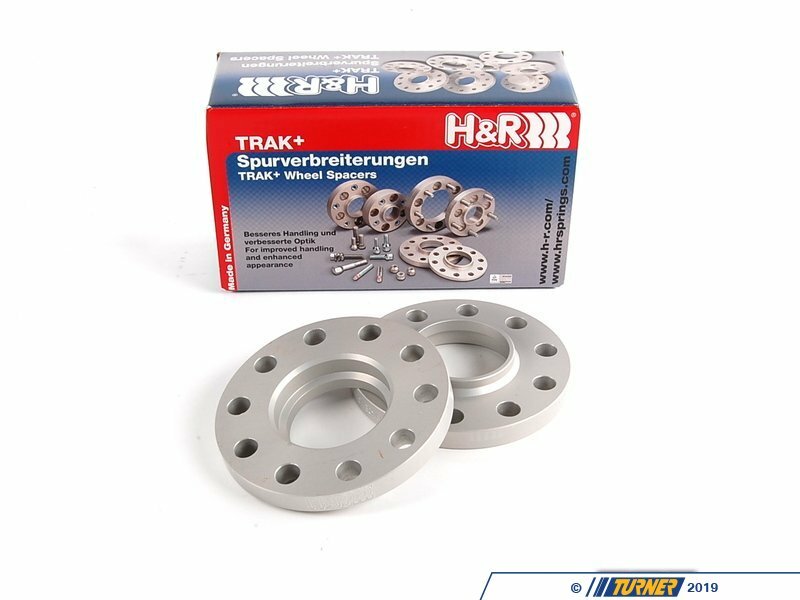 H&R has worked up this easy solution.Note about E36 and E46 wheels  there is a large range in offsets on these wheels. The lowest offset we have seen is 35mm; the highest offset is 49mm. 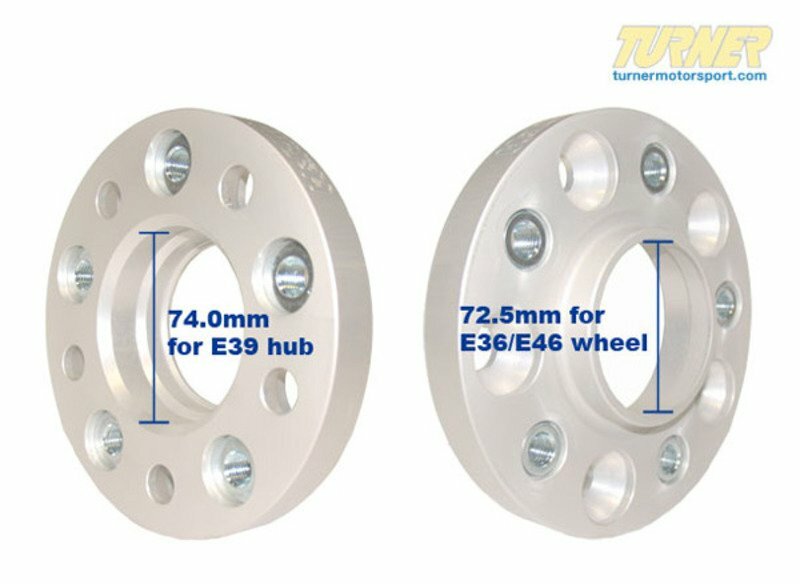 The desired offset for the E39 is 20mm, depending on wheel width. 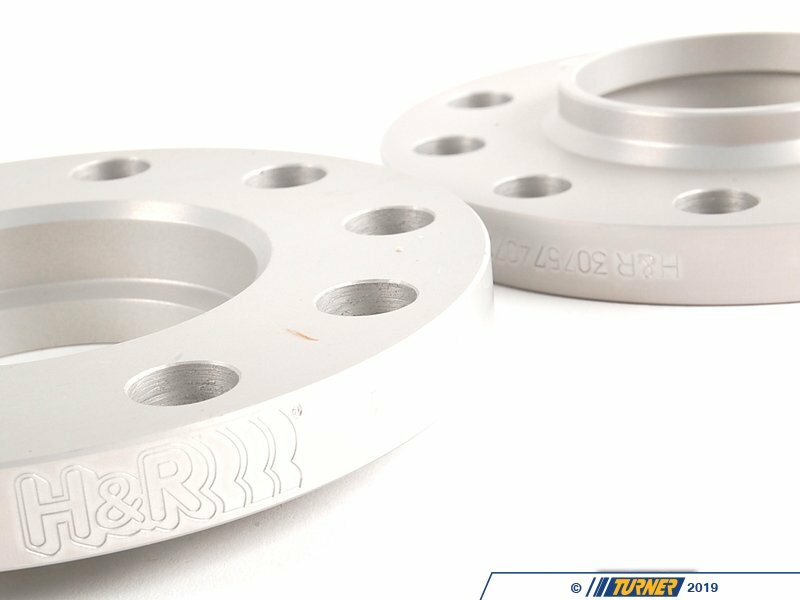 H&R makes these wheel adapters in 15mm and 20mm thicknesses. If your E36/E46 wheel is above 43mm in offset, you will run into the problem of the wheel tucked in too far. 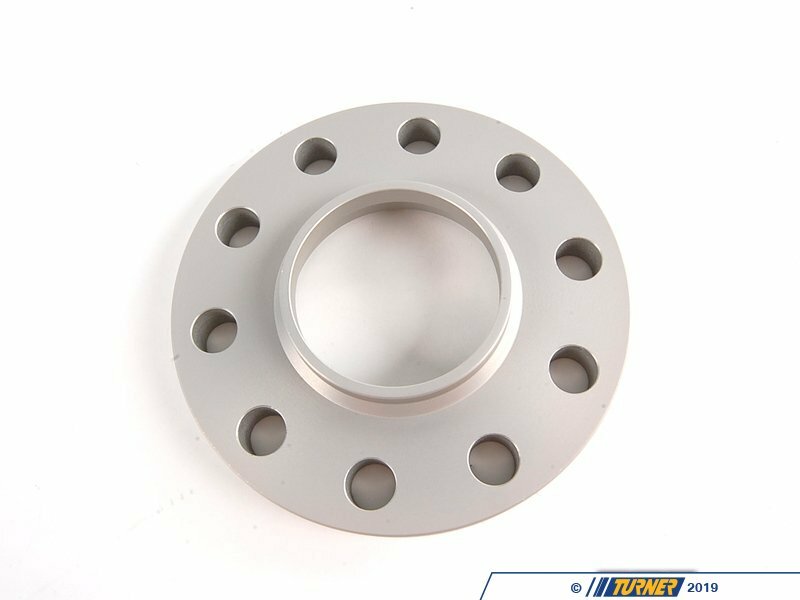 When looking at E36/E46 wheels, try to stay in the 35-43mm offset range.Spacers are sold in pairs (1 axle) without bolts.